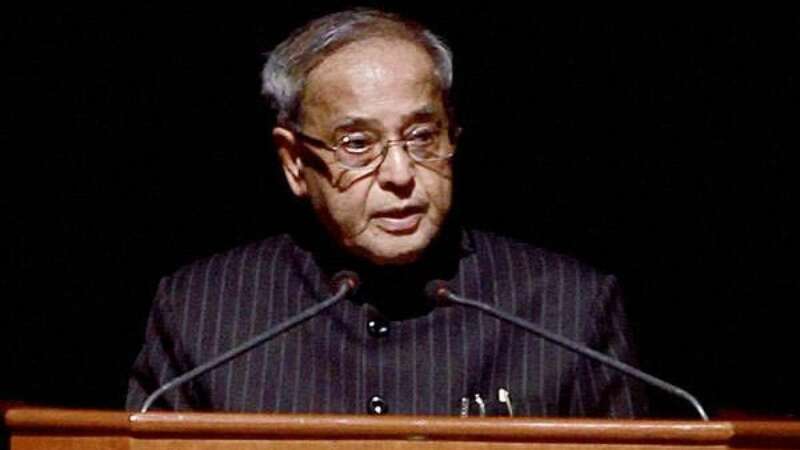 New Delhi : President Pranab Mukherjee on Thursday greeted nation with Dussehra wishes and once again appealed for people to stick with tolerance. He urged people to maintain India's unity and integrity and focus on nation building, leaving aside their differences. He said this at Ramlila Ground in New Delhi, where towering effigies of Ravana along with his son Meghnad and brother Kumbhakaran were set afire marking triumph of good over evil. During the day, Pranab used twitter to deliver the same message with added love and brotherhood. Congress President Sonia Gandhi along with former PM Manmohan Singh were present at the occasion.